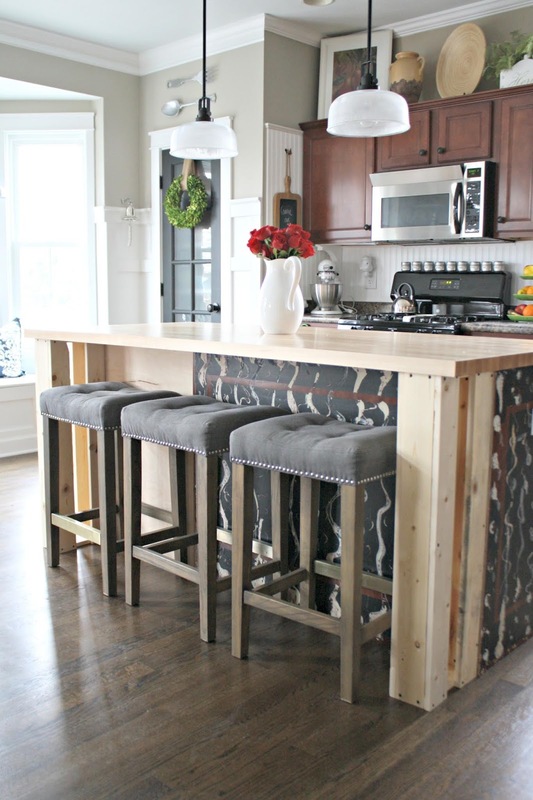 Most of you won’t be surprised to hear this…but I’m about to begin a new project on our kitchen island. 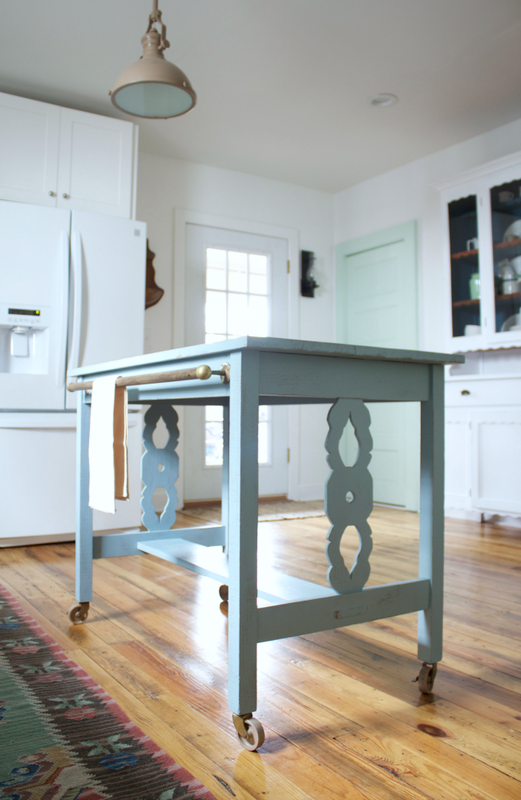 Many of you know I’ve had a thing with tweaking our kitchen islands over the years. 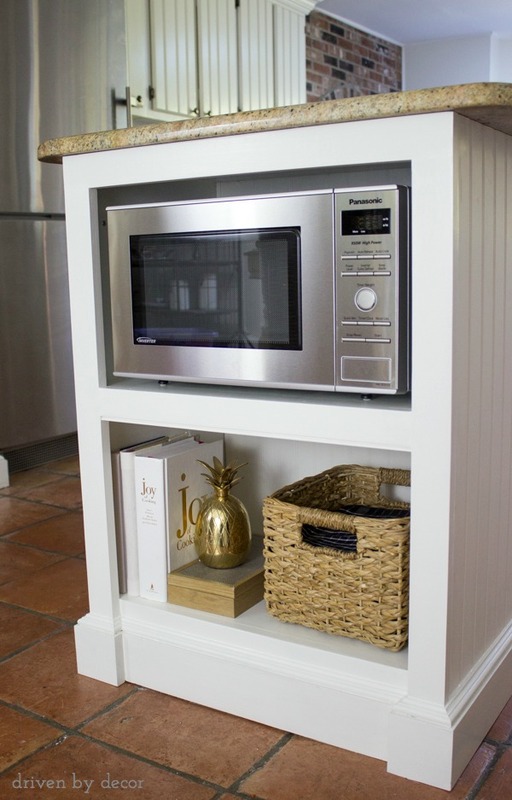 I think it’s such a great way to add a custom touch to a kitchen. 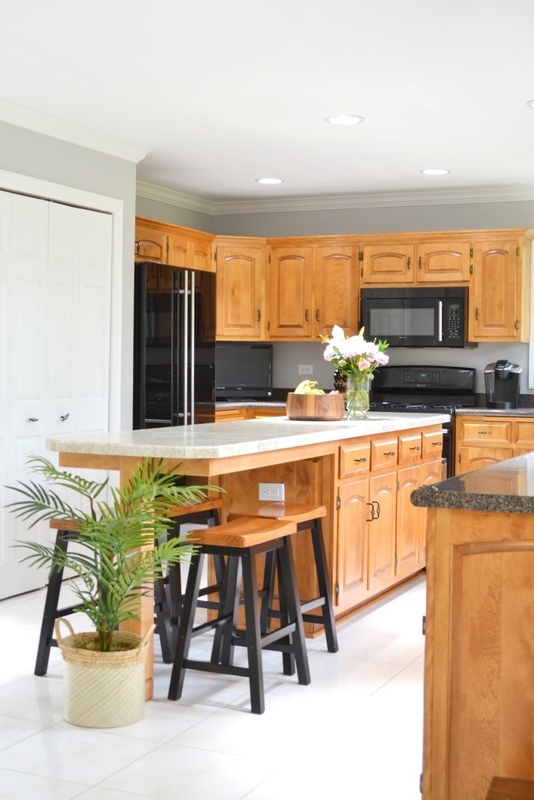 Islands are such a centerpiece to a kitchen and I’ve found with most of my projects that it doesn’t take much to make them really shine. 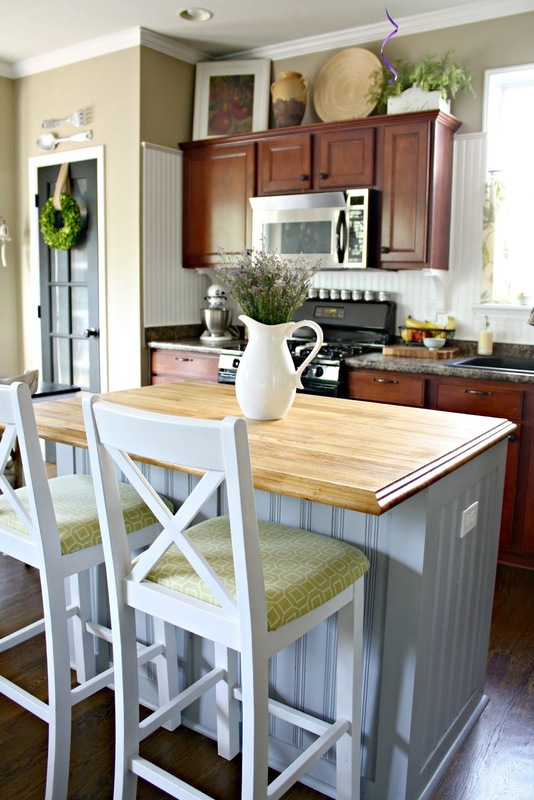 Forever ago I added beadboard to our old island and then painted it black. I’ve known from before we moved in that I’d eventually add to it…but like most of the big projects I tackle, I wanted to wait it out to figure out exactly what I wanted to do. I’m so glad I did! I knew I wanted to add some kind of “legs” to the island, so I’ve been searching for ideas for over a year. 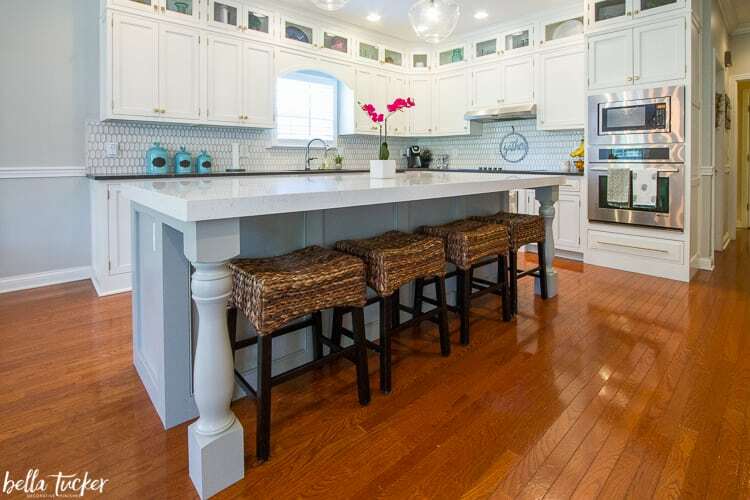 I prefer some kind of base under the counter — the design we had on the old island with the sides is my preference. I thought it wouldn’t be possible because we have the cabinets underneath that open. We don’t have to access them often, but I do love the extra storage. I thought about adding legs, but instead came up with a new plan that I’m planning to start this week. In my head it looks SO GOOD. I’m just hoping it turns out like that. 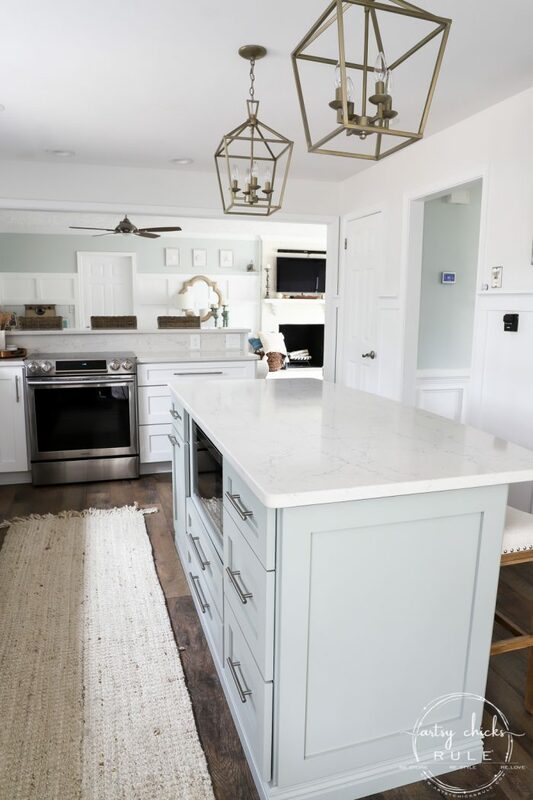 😉 Of course I’ll share that whole process with you, but for now I’ve got a bunch of great island transformations from other talented bloggers. 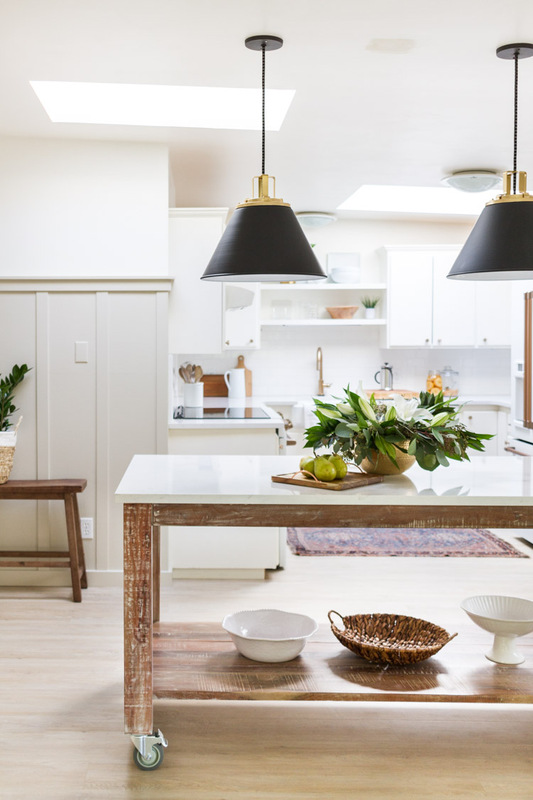 These kitchen island ideas run the gamut — modern and traditional, from scratch to adding to existing. 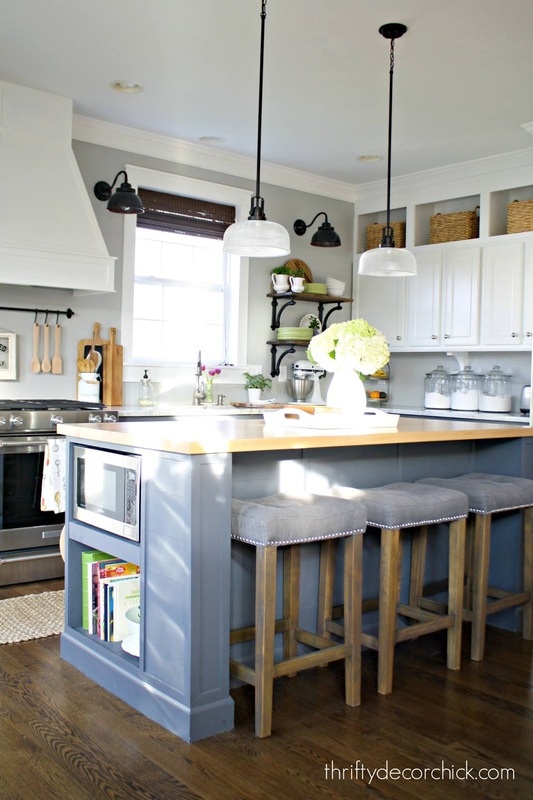 All of them are beautiful examples of ideas you can incorporate in your own home! I’ve found recently that you can find some great wood leg options on Amazon. 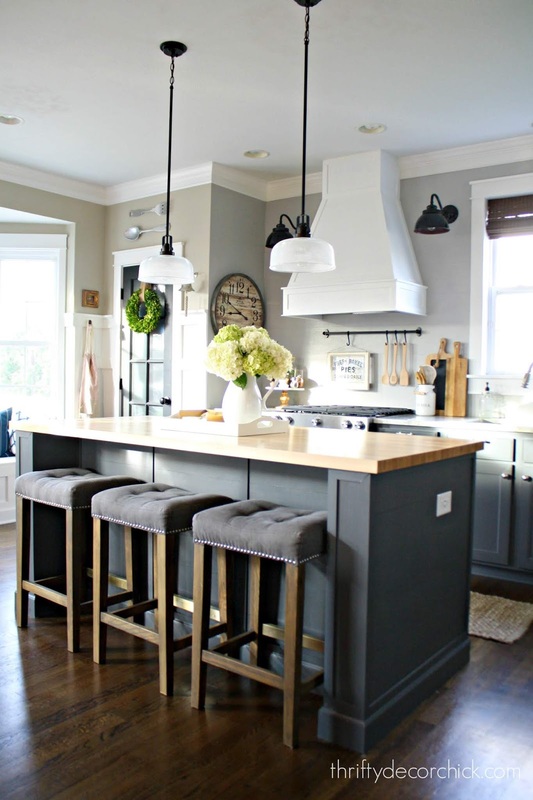 I love how long it is too — and that pretty light gray color. I’ve always thought my DIY potting bench would make a beautiful island, especially with the wheels! 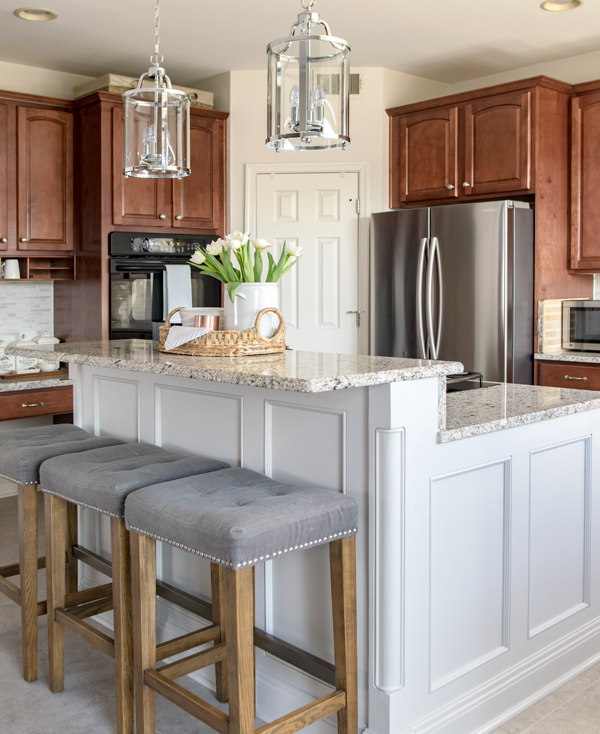 This island had an overhang at the end that didn’t leave much room for stools. I love using it for pretty open (or closed!) storage instead. 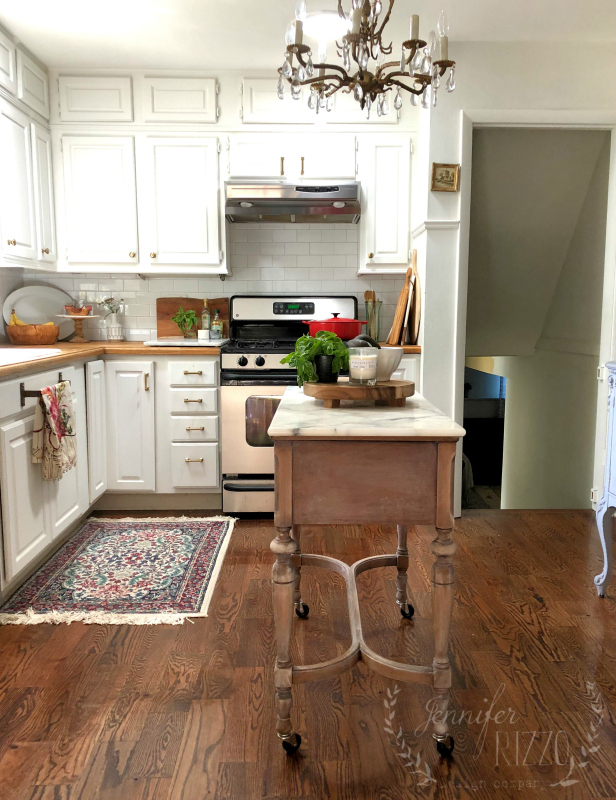 I almost did something similar in our old kitchen years ago — I was very close to extending out the countertop so we could have seating off the island instead of in the bay window area. If you’re tight on space this is such a smart option! Isn’t that pretty? Because it’s a smaller size the counter wouldn’t be too horribly expensive. 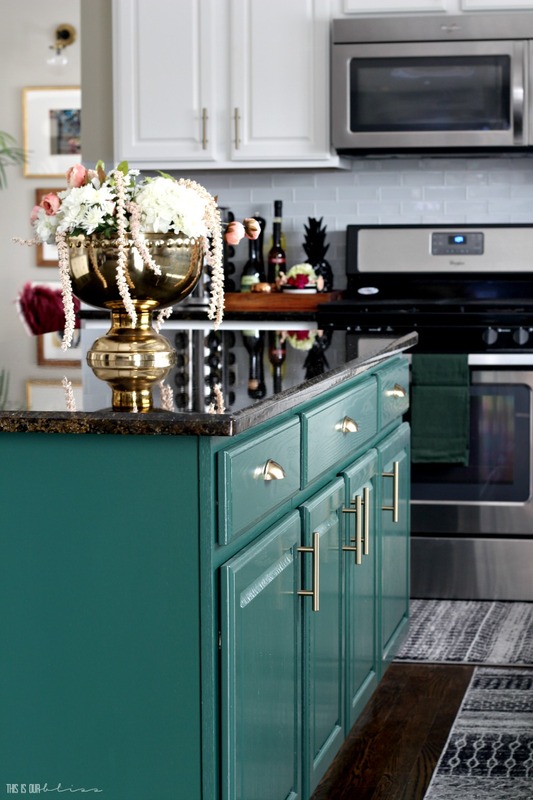 If you’re loving a dramatic color but are afraid to incorporate it on the walls or ALL of the cabinets, add it to your island. 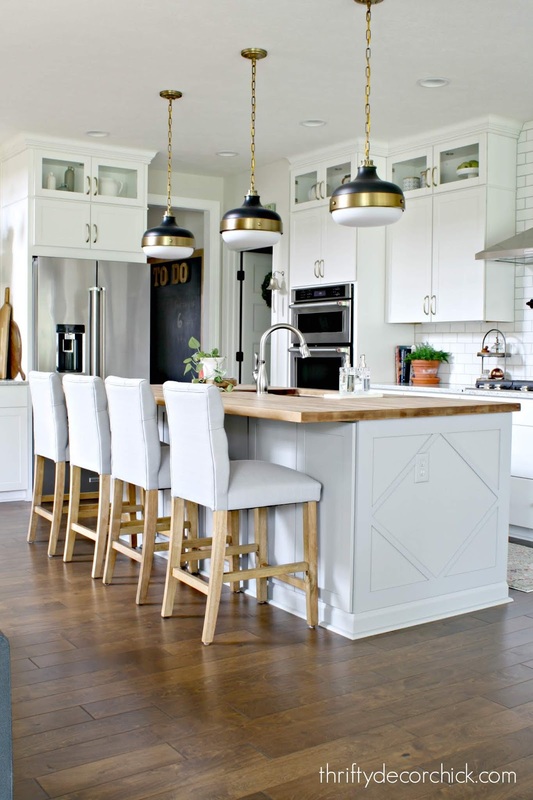 I think the island should be one of the show pieces of the kitchen and this is a great way to accomplish that!